Simply perfect for health-conscious individuals, MARIGOLD UHT 100% Juice contains no added sugar, preservatives & artificial colourings. 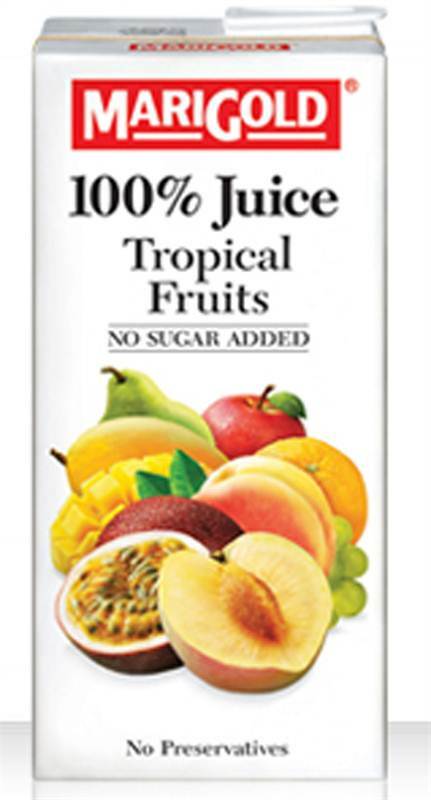 It has 100% great natural fruit taste for your enjoyment. Combining the natural sweetness and the wholesome goodness of fruits in convenient packs, MARIGOLD UHT 100% Juice can be consumed either on the go, or in the comfort of your home, anytime, anywhere.